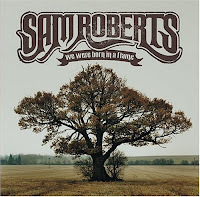 Sam Roberts es un gran singer songwriter canadiense de Quebec.Desde su adolescencia formó distintas bandas con notable reconocimiento. Pero su éxito llegó al grabar de forma independiente un Ep y su álbum debút en el que él mismo grabó los violines, guitarras, bajo y voz. Actualmente la banda está compuesta por Sam Roberts (guitarra, composiciones y voz); Dave Nugent (guitarra eléctrica); Eric Fares (teclados y guitarra); James Hall (bajo); y Josh Trager (batería). Hasta la fecha han publicado unos cuantos Eps, y cuatro álbmes de estudio de larga duración: Brother Down (2000);We Were Born in a Flame (2003); Chemical City (2006) y Love at the End of the World (2008). Feel, feel it grow. In your mind, in your mind. Life is how you live it. Through time, through time. And there's no desert sun that is hot enough to feed your fire.We shipwreck like fools only to become the ocean's choir, and the sun dies until it's reborn, but there's no road that ain't a hard road to travel on. Got lost on the way, but you found the road again. Stay true to your friends, cause they'll save you in the end. There must be something in the air, in the air. Some kind of answer to my prayers, to my prayers. Some kind of answer to my prayers. Been dying since the day I was born. Because there's no road that ain't a hard road to travel on. I have a vision in my mind of a life that I've left behind. Yeah, can't you see that lost souls can't swim. You know you'll sink, but you still jump in, and it's alright to get caught stealing back what you've lost. Yeah, don't you know that lost souls can't swim. You beat them back, but they drag you in, and I can't say that I am sorry for all my many sins. And you try to find a love that'll see you through your darkest days. And her soft brown hair is as long as the Canadian highway. When the sun dies until it's reborn. But there's no road that ain't a hard road to travel on. Been dying since the day I was born. Because there's no road that ain't a hard road to travel on. There must be something in the air,in the air. Oye, que bien suena este Sam Roberts, no tenía ni idea que existia. Cuanto daño nos está haciendo Operación Tufo. 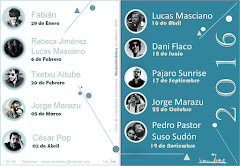 He estado repasando algunos posts y debido a mi sagacidad, llego a la conclusión que te gusta la música, pero mucho. 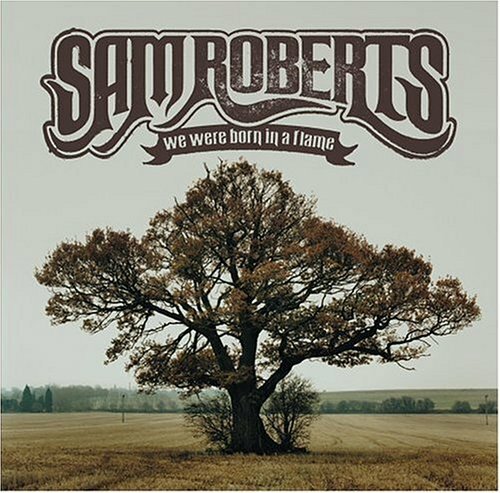 A mi tampoco me sonaba de nada Sam Roberts, y veramente me gustó mucho. Como dicio steppen amas la musica y lo transmites. La verdad es que Sam Roberts suena de lujo. Poco oído por nuestro país, pero con clase para dar y regalar. Me alegro que te haya gustado, y que lo hayas descubierto por este pequeño rincón! Me alegro que te haya gustado Sam Roberts!! Gran gusto el tuyo! Gracias a ti, por escucharlo sin concocerlo y dejarme el comentario!! Un temazo. Gana con los años. Y tanto!! Un señor temazo que uno no se cansa de escuchar a pesar de los años. Canción brutal!